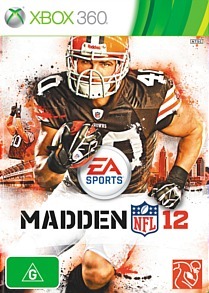 Madden 2012 NFL XBox 360 Review All up, and if you are interested in NFL football, Madden 12 is a great game to get you into the sport and you will most certainly have a much better understanding of American football if you are not that well versed in the game. 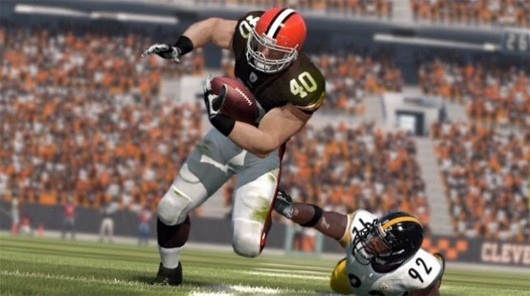 According to the founders of EA, the John Madden NFL(gridiron) video games series concept was founded way back in 1986 aboard an interstate American train trip when one of these originators of EA met John Madden who happened to be on his way to cover an NFL match. Madden preferred to take the train because of his dislike of planes. 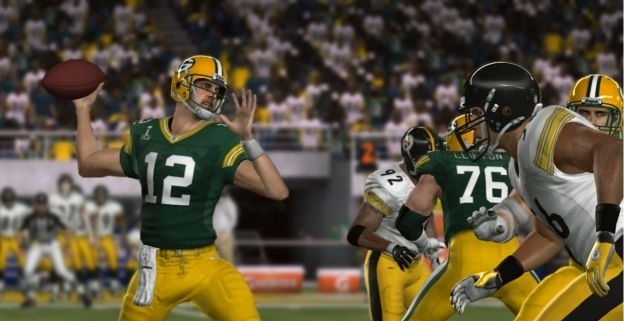 A quarter of a century later Madden 12, from EA Sports, has delivered a sport’s simulation that those original games in the 1980’s could only dream of ever becoming in their attention to detail, complexity and realism. I approached this simulation with some trepidation as I had not really played many gridiron games in quite a few years. My interested has waned since my teenage years due to the sport being taken off free to air television in Australia and because the post TV Sports Football video game became very complex tactically and takes a lot of time to learn, making it difficult to understand for a non American. Anyhow, the opportunity came up to review this game and I thought I would give it a go to see how much had changed in American football video games. 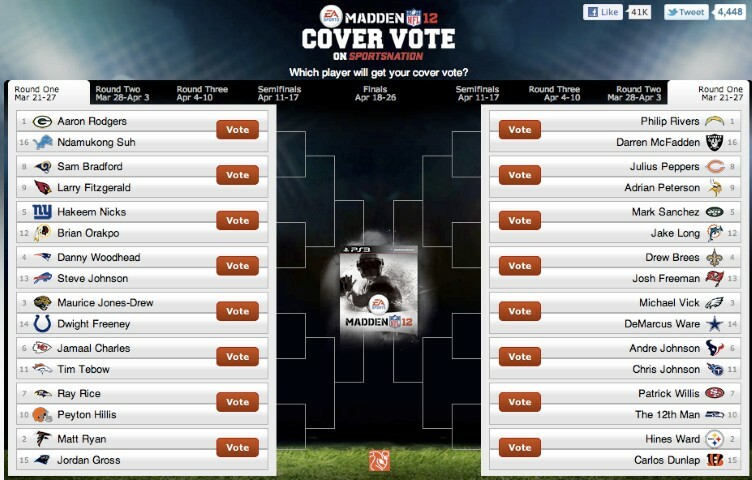 Well, I was pleased that within Madden 12 there has been a number of mini games in order for the outsider to get a grasp on the common aspects of the game so you will be prepared for a real match. These mini games take place on a practice field, with no specatators. It allows you to practice the throwing or passing of the ball from the on field playmaker, known as the quarterback. The game shows visually, the lines your receivers will run and the buttons you need to hit in order to select that option. You also get to practice other important aspects, such as the defending. This entails trying to stop the opposition from running and passing the ball to receivers trying to run past you. These mini game can be quite fun, as it allows you to get an idea of each area of the game you need to know how to play to get something out of playing an entire game. It teaches you trick moves, say how to dodge whilst running or how to strip balls from opponents who have the ball. As these matches are all condensed you can learn these essential skills quickly. So, with some knowledge of the basic controls by playing mini games you are armed to attempt to have a shot at playing a proper match. The game proper is typical of most of these franchised sport’s simulations that have been available on shelves for the past two decades. The format will feel very familiar and easy to navigate. As an example you are able to select a stand-alone exhibition match, a season, the length of quarters, the time of the day(afternoon, evening etc..), what the weather is doing(it can snow in football season in America which makes it quite interesting for player movements) and also the stadiums of which there are over 30 in the USA used for NFL. Also, you are able to select a standard to play against the computer or play online. Personally, I only play against the computer because the human players would be way too good for someone who does not know terribly much about NFL football. There are also other modes you can play, such as the Superstar mode which allows you to control just one player throughout his career if that is what you would like to do. The problem with this is, you might only be involved in the action sporadically as that is the nature of this game with very specific roles, unlike soccer where you are in the action a lot. The option is there to take over the entire squad management doing trades and buying in players if you feel you understand the game that deeply. The visual presentation is akin to watching the game in real life on tv. You have views from the zeppelin floating above the field, the teams running on field with stuffed animal mascots hopping about madly, the customary beautiful cheerleaders(sadly missing from our own AFL football), and tv commentary, PA announcers and various other background noises associated with the game. In game you sit to the back off your team so you can see what is coming at your men from upfield. I felt a downside graphically was the kicking sections of the game, both the kicking for goal and also the kick-offs and punting. The bone jarring tackling and physics of general game play seems quite good. In game, you have the option of going with tactics or plays that the game presents or you can go through many moves if you feel you know more about the game than the simulation. As I only have a fairly rudimentary understanding of this flavour of football I naturally would go with the simplest and quickest option. It allows for the game to keep flowing quickly so you remain in the action. What is good is that as with the mini games, you are shown visually the direction your own players will go on field so you can pick them out with passes in the offensive game or who you control in the defensive game that will allow you to slow down, stop or intercept your opponent scoring on you. All up, and if you are interested in NFL football, Madden 12 is a great game to get you into the sport and you will most certainly have a much better understanding of American football if you are not that well versed in the game.